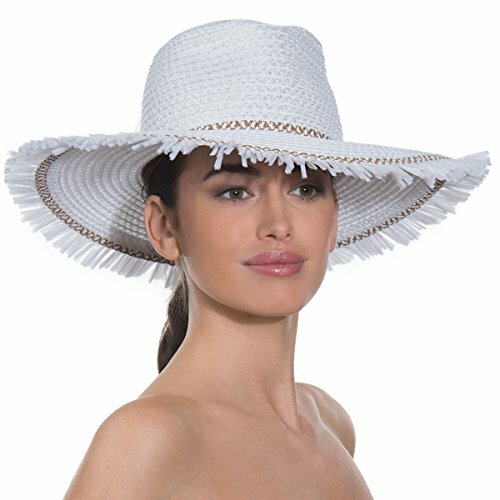 Tropical Fedora of Squishee® is punctuated with a contrast speckle weave and edged with fringe. Elasticized inner band fits most. Lightweight and packable. Blocks 95% UVA/UVB rays. Independent testing in accordance with AATCC (American Association of Textile Chemists and Colorists) test methods have determined this product's effectiveness for blocking ultraviolet radiation as well as UVA/UVB radiation. This product was awarded the highest rating of 50+ UPF by independent testing.